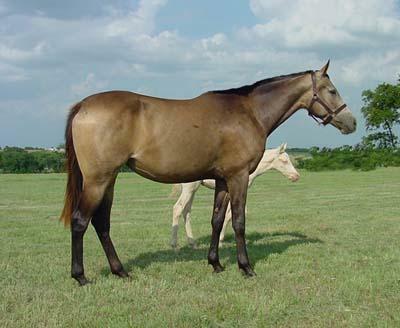 Many horse colors are the result of dilution genes acting on the base colors. As the name suggests, they all work similarly by diluting the coat color. Some of the dilution genes act on both red and black pigment, some of them act only on one or the other, and some affect both but act more strongly on one either red or black. 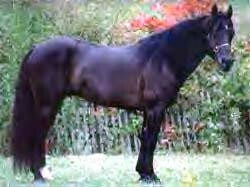 Most of the dilution genes found in horses are dominant, so if a horse carries one of these genes, it will be expressed. Cream: Cream can modify any color it acts in conjunction with, though it is most commonly recognized when combined with chestnut and bay. The cream gene is an incomplete dominant, meaning it is always expressed when it's present, but it acts differently in its heterozygous (1 copy of the gene) and homozygous (2 copies of the gene) states. 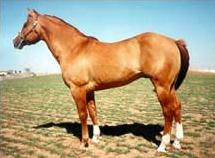 Simply put, horses with one copy of the cream gene will have a diluted coat; horses with 2 copies will have a doubly diluted coat. Double dilutes always have blue eyes. The cream gene has very little noticeable effect on black hairs in its single form, but it is very obvious in its double form. Chestnuts have no black hairs, so the entire coat is diluted. 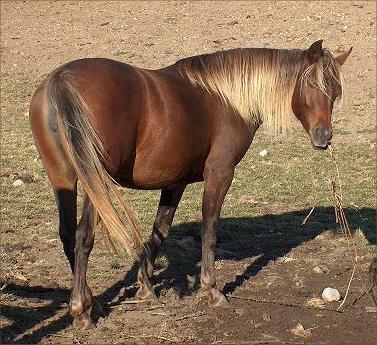 The mane and tail are almost always white. Because the cream gene has little effect on black hairs, the dark points remain even after the bay body color has been diluted. 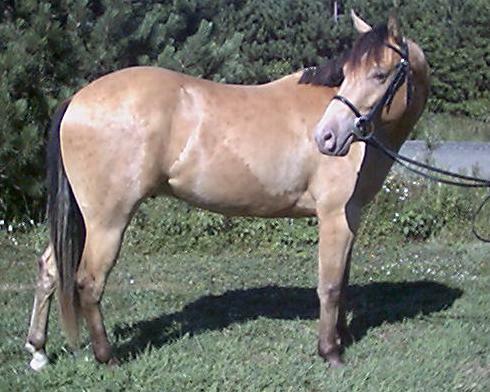 Cream can also act on brown, resulting in what look like darker shades of buckskin. 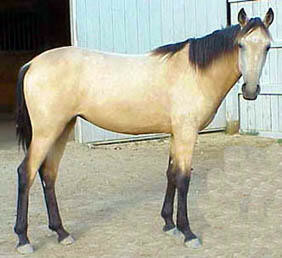 The color is sometimes referred to as "brown buckskin" or "brownskin." 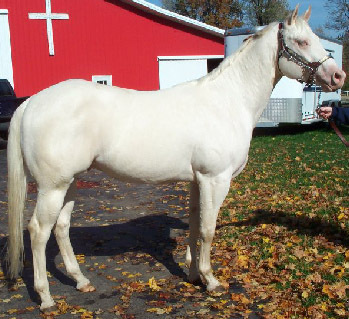 When two cream genes are present, the body color becomes very pale, and the black points are diluted to a light red or brown color. Because cream gene has very little effect on black hairs in its single state, smoky black is very hard to distinguish from brown or (very sooty) dark bays. Often the best way to tell if the horse carries the cream gene is to have it genetically tested. Some smoky blacks will fade to a dull brownish shade with sun exposure. 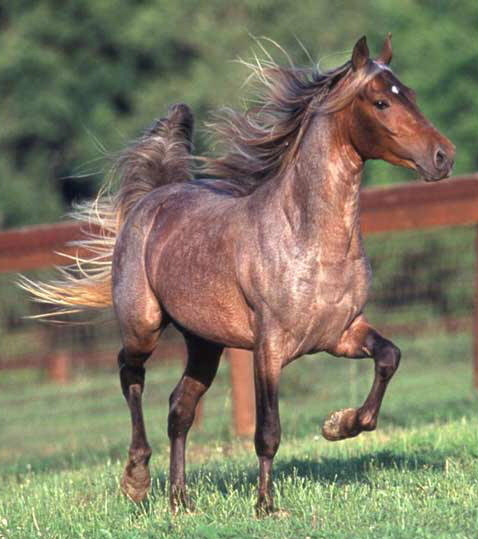 A smoky cream Akhal Teke. Dun: The dun gene is a complete dominant meaning heterozygous and homozygous duns look the same. 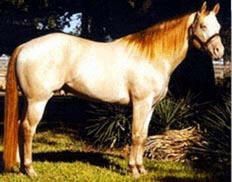 It is often considered a "primitive" color because most very ancient breeds are predominantly or entirely dun, i.e. Przewalskis, Tarpans, etc, so it stands to reason it's a very early mutation. Duns are characterized by certain markings known as dun factors. They usually consist of a distinct dorsal (or eel) stripe down the back, leg barring (or zebra stripes), and cobwebbing on the face. 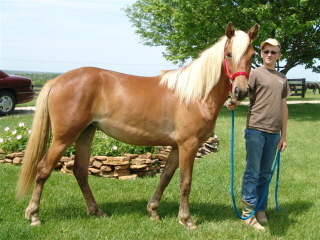 The chestnut color is diluted to a sandy color, but the mane, tail, and points remain chestnut. The dun factors tend to be the same reddish brown color as the points. The body color is diluted to a sandy color, but the points remain dark. 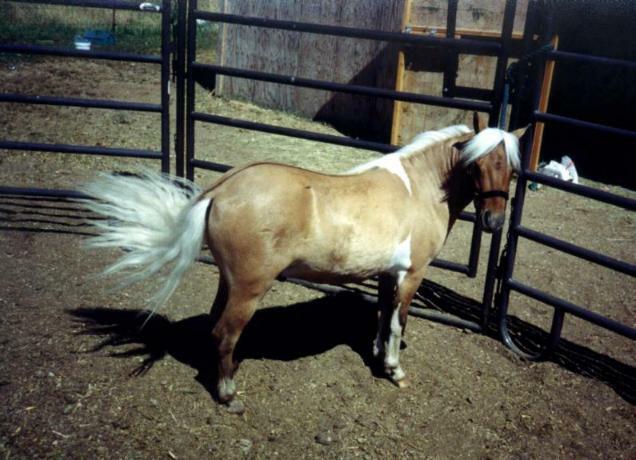 This mustang shows another typical characteristic of duns---the light colored hairs on top of the mane and at the dock of the tail. 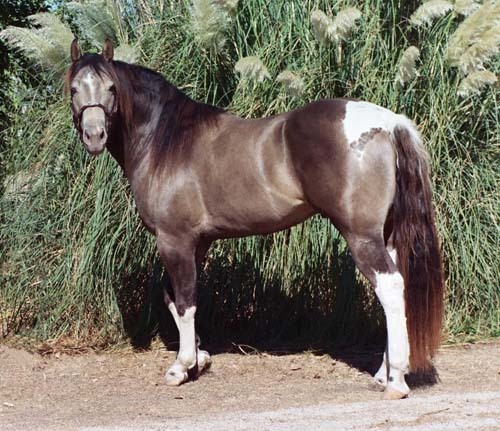 Silver Dapple: Silver dapple (also called taffy) is a dilution gene that only affects black pigment, not red (chestnut) pigment. 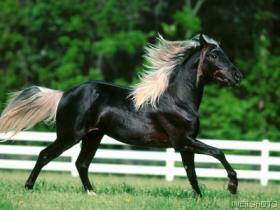 It acts by changing black or brown horses to a chocolatey color (sometimes dappled) and bays to a flat reddish color. (The dappling is unrelated to that caused by the grey gene.) 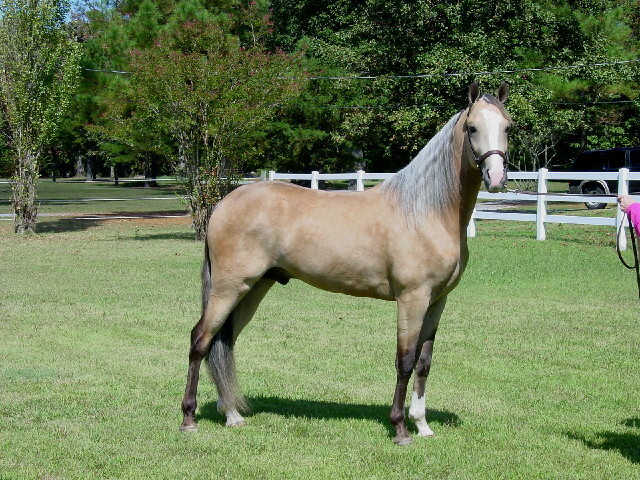 While the legs are often only slightly affected by the silver dapple gene, the mane and tail usually change to a pale, flaxen color. 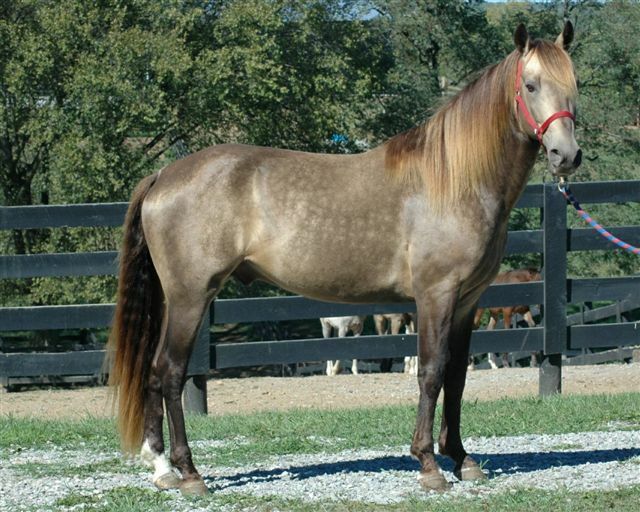 Because of this, flaxen chestnuts are easily confused with silver dapple horses (and vice versa). 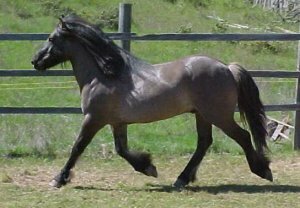 This color is found primarily in gaited, stock, and some pony breeds such as Rocky Mountain Horses, Quarter Horses, Icelandics, Shetland Ponies, and Miniature Horses. 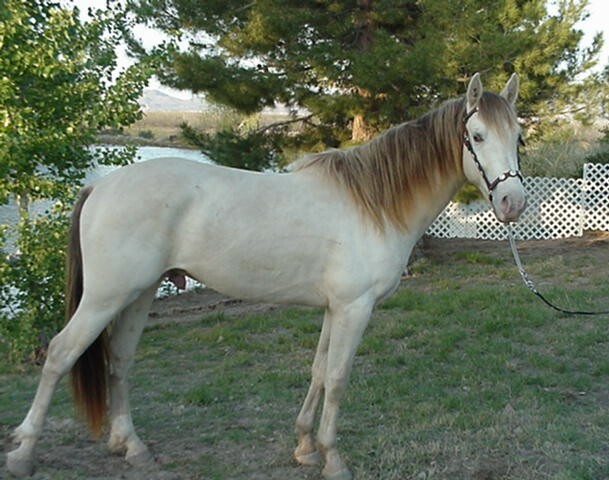 A few draft breeds have also recently been discovered to carry silver, but it's quite rare. This is silver dapple on black. 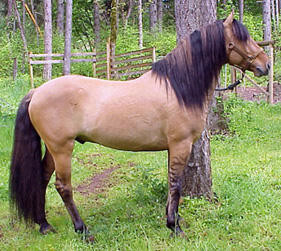 Note the diluted mane and tail. 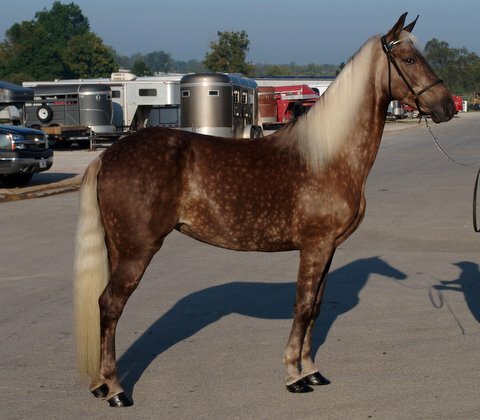 Some silver dapple blacks fade with sun exposure to a dappled chocolate or even greyish-brown shade. 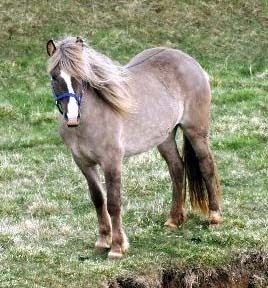 The latter is very common in Shetland Ponies. 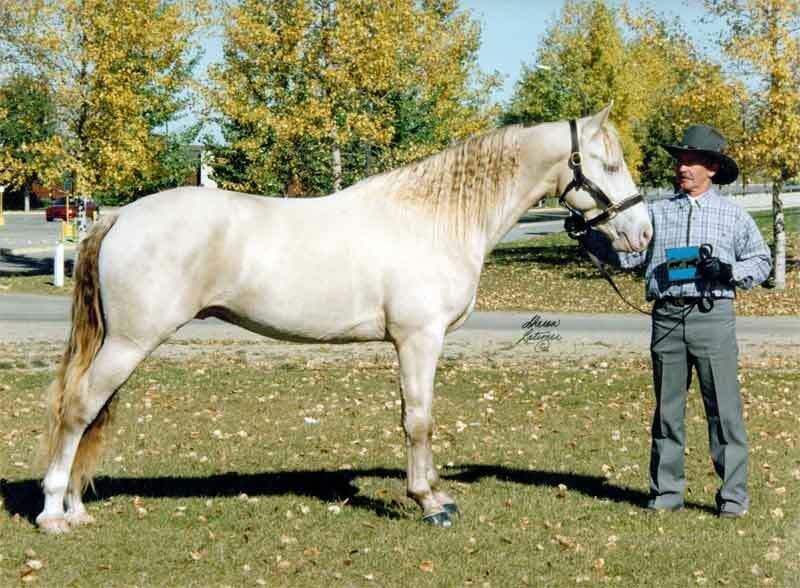 This is Smooth As Silk, a Rocky Mountain horse owned by Fair Chance Stables exhibiting the dappled chocolate shade of silver black. 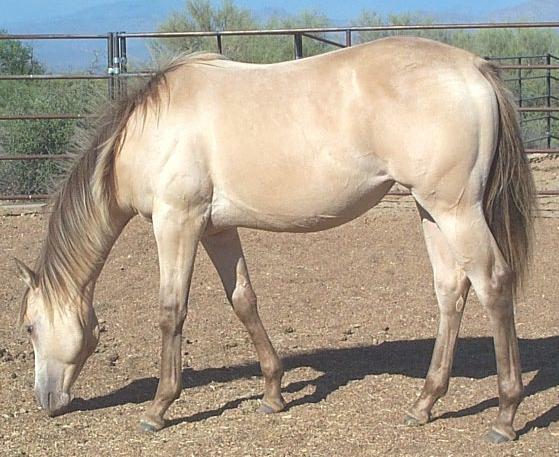 This is April Sunshine, a light silver dapple bay Rocky Mountain Horse owned by Overlook Stables. 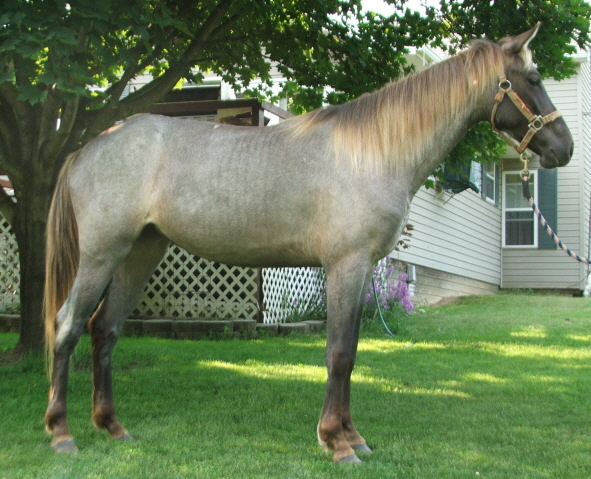 This horse is believed to be a silver dapple buckskin: bay + cream + silver dapple. Champagne: The champagne gene is a simple dominant dilution gene, much like dun. 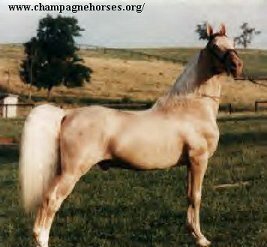 In other words, if a horse carries the champagne gene, he will be champagne in color. Champagne combined with chestnut is called "gold," with bay is "amber," with brown is "sable," and with black is "classic." Sometimes, champagne is combined with the cream gene as well, producing a color known as "ivory." It is known to act in conjunction with other dilution genes (i.e. dun), but those colors have yet to be named. 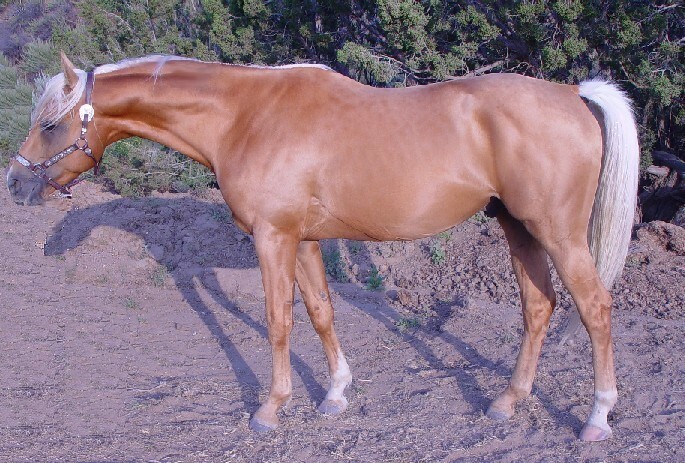 Champagne horses are usually born with bright pink skin that becomes freckled as they age. They are also born with blue eyes that change to a hazel shade as they get older. 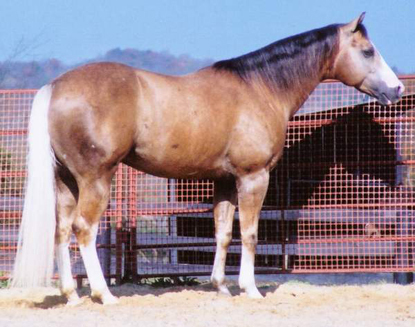 The champagne gene is found most often in Tennessee Walking Horses, Missouri Foxtrotters, American Saddlebreds, and Quarter Horses. 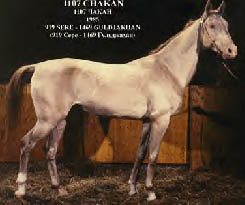 The best resource for more information and pictures of champagne horses is the Champagne Horse Association. 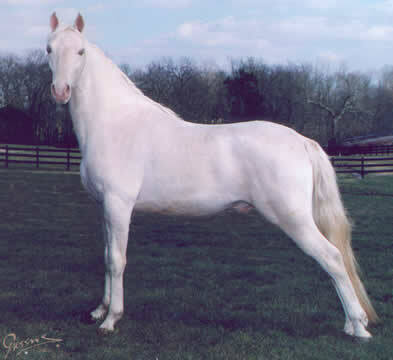 Champagne combined with cremello, perlino, or smoky cream creates an irridescent, nearly white coat. 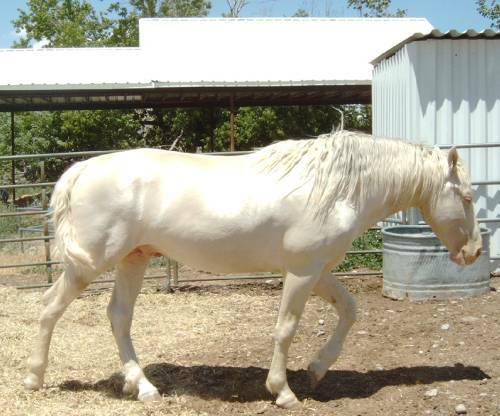 These horses have very pale skin and very faint freckling.